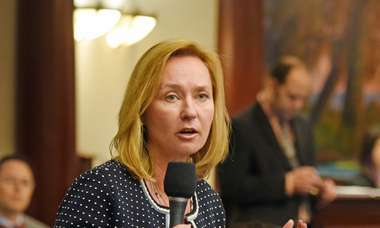 The state says it intends to enforce a little-noticed deadline for safety inspections that could force some of Florida's medical marijuana treatment centers to halt processing operations. TALLAHASSEE — About half of the 13 Florida businesses allowed to grow, process and sell medical marijuana could be suspended from processing cannabis because of a little-noticed deadline in state law requiring food safety inspections — even though edible forms cannot be sold in the state. The requirement mandates that those medical marijuana treatment centers complete third-party inspections in the first year to ensure "good manufacturing practices" but went largely ignored or unnoticed by some centers because the Department of Health has still not cemented rules relating to edible medical marijuana. But in letters sent last week by the department, the state indicated it intends to enforce the provision that any business complete the certification within the first year or stop operating its processing facilities immediately. One center, Gainesville-based The Green Solution, has already been forced to stop processing products until it can complete the required inspections. At least seven more have not submitted proof they have completed the inspection before their deadlines, though some do not yet have dispensing locations for patients. Most of those deadlines fall in July and August. The decision could affect the availability of medical marijuana in a nascent market that has already been dealing with spotty supply. "There's no smoking allowed as of yet, so with the exception of these little vape cups, these K-cups that have the flower in them, every product requires processing," said Ben Pollara, who helped spearhead the constitutional amendment that approved medical marijuana in 2016. "If you take away a [center's] ability to process that theoretically shuts things down, unless they're sitting on a stockpile." Some businesses that have been operating longer may have more products on hand. But newer ones may find it more difficult to keep items on the shelves, he said. 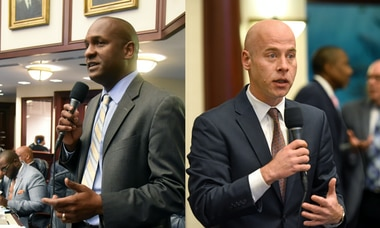 The impact of a potential ban also depends on how long a center is forced to stop processing, said Jeffrey Sharkey of the Medical Marijuana Business Association of Florida. "If you go out of business for two months because somebody says something's wrong [with] your processing, that's huge," he said. Even with a short delay, "there'll certainly be a blip and a scramble to be sure they're meeting patients' needs." But the lack of clarity already hurts a patient population that has struggled with access, and could throw a sensitive supply-and-demand system into chaos, said Seth Hyman, whose daughter Rebecca has a genetic disorder that causes life-threatening seizures. Hyman regularly goes to several dispensaries to try different strains to tamp down his daughter's episodes. He said he has encountered products running out toward the end of the week: "Imagine if you were to stifle the supply chain further — it would further hinder the access of medicine to patients," he said. 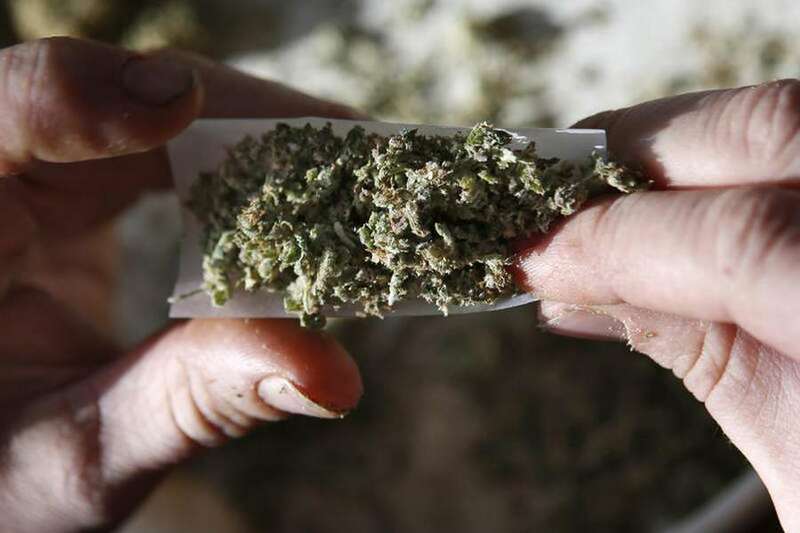 Patients who rely on one strain from a specific center could be at risk, added Hyman, who now works for Kelley Kronenberg, a law firm dealing with medical marijuana cases. "It's sort of like a patient taking a brand-name drug, and then suddenly that brand name is no longer available. They're going to have to try a generic," he said. "If you know something works, and now you don't have access to that medicine, that could cause a lot of problems for patients." The requirement for the food safety inspection was a last-minute addition to the Legislature's bill broadly legalizing medical marijuana in 2017. It initially called for the inspections to be done before a medical marijuana treatment center began functioning but was eventually amended to require all of a treatment center's processing facilities to complete the inspections — spanning things like manufacturing and lab safety — within the first year of being licensed. The clock started ticking when each treatment center received its license, or was converted from a dispensing organization to a treatment center. But because that part of the statute immediately followed a section laying out requirements for edible medical marijuana, some centers assumed the two were linked. No centers can currently sell edible medical marijuana because the Department of Health has not yet published the rules for that use. Those centers were unaware of the deadline for the inspection requirement until the department sent out a series of letters July 6 informing each of their inspection status and the deadline by which they had to comply with the certification requirement. Four centers with dispensing locations across the state — Trulieve, GrowHealthy, Curaleaf and Liberty Health Sciences — have already submitted documentation complying with the requirement. Of the remaining centers, two have deadlines this week. Knox Medical, whose deadline was Thursday, received and submitted its documentation on the last day, said spokesman Scott Klenet. But Surterra Therapeutics, one of the largest centers in the state with dispensing locations from Miami Beach to Tallahassee, declined to respond to questions about whether it would meet its own deadline Friday. Two more centers — Plants of Ruskin, also known as Altmed, and 3 Boys Farm — must submit papers at the end of the month. Columbia Care Florida and Treadwell Nursery reach their 12-month deadline Aug. 9. But Treadwell and 3 Boys Farm also only have cultivation authorization, according to the Office of Medical Marijuana Use, and do not yet have dispensing locations. The Green Solution, which had to stop its processing operations after missing its 12-month mark July 5, expects to have its certification by the end of the month and has enough product to serve patients in its 120-mile-radius delivery area around Gainesville, according to the center. The facility has submitted proof to the state that it has ceased processing new products in the meantime. Some centers said they have preemptively asked about variances from the requirement. But in an email to the Herald, Devin Galetta, interim communications director for the department, indicated that the department intends to enforce the provision. "Any MMTC that does not comply with this new Florida law must immediately stop processing at any facility which fails to pass this inspection until it demonstrates … that such facility has met this requirement," he wrote. It's likely that few patients are aware that some of the state's medical marijuana treatment centers might be at risk of putting their processing operations on hold. Hyman regularly receives emails from several centers' dispensaries but had not heard about the potential processing gap. "I've never received an email from them saying that due to Florida law we may have to stop processing," he said. "If that's potentially what might happen, wouldn't that be the right thing to do?"